LOS ANGELES — U.S. Customs and Border Protection (CBP) and Los Angeles World Airports (LAWA) announced today the expansion of Mobile Passport Control (MPC) to LAX. With the addition of LAX, Mobile Passport Control is now available to U.S. citizens and Canadian visitors arriving at 23 major international airports. The Mobile Passport app has been downloaded 1 million times over the last two years. Mobile Passport is the first authorized app to expedite a traveler’s arrival into the United States. Eligible travelers may voluntarily submit their passport information and answers to inspection-related questions to CBP via a smartphone or tablet app prior to arrival. Android and iPhone users can download the Mobile Passport app for free from the Google Play Store and Apple App Store. MPC currently offers U.S. citizens and Canadian visitors a more efficient in-person inspection between the CBP officer and the traveler upon arrival in the United States. Much like Automated Passport Control (APC) the app does not require pre-approval and is free to use. Travelers who successfully use the app will no longer have to complete a paper form or use an APC kiosk. As a result, travelers will experience shorter wait times, less congestion and faster processing. The process is efficient and secure, the information and answers to inspection-related questions are submitted directly to CBP via secure encryption protocols. The App streamlines the traveler inspection process and enables CBP officers to focus more on the inspection and less on administrative functions. Information about Mobile Passport Control, including how to download the app, user eligibility and other frequently asked questions, is available on CBP.gov. 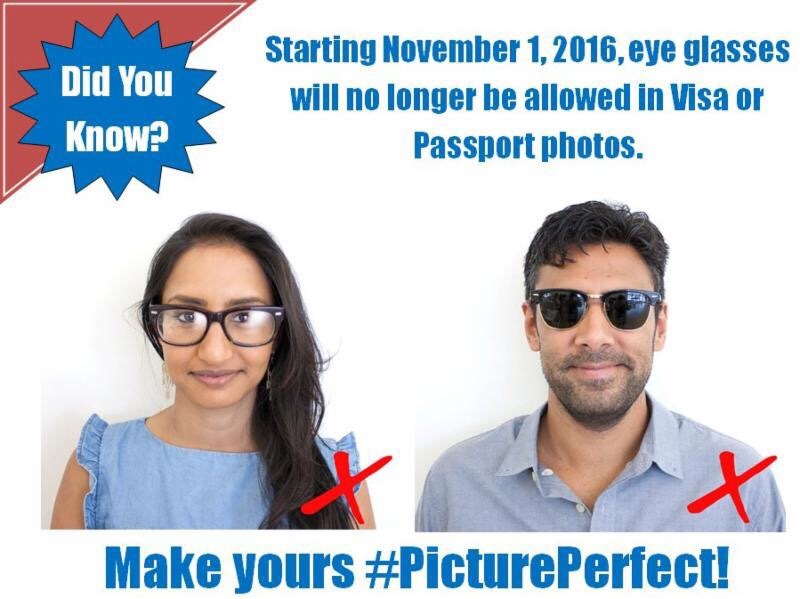 For more information on photos, check out our passport photo requirements and photo examples or visa photo requirements and photo examples. A dozen U.S. airlines applied for the chance to operate scheduled passenger and cargo service to Havana. Collectively, the airlines applied for nearly 60 flights per day to Havana, exceeding the 20 daily flights made available by arrangement between the two governments. The Department’s principal objective in making its proposed selections was to maximize public benefits, including choosing airlines that offered and could maintain the best ongoing service between the U.S. and Havana. The airlines receiving the tentative awards are Alaska Airlines, American Airlines, Delta Air Lines, Frontier Airlines, JetBlue Airways, Southwest Airlines, Spirit Airlines, and United Airlines. DOT’s proposal allocates nonstop Havana service to areas of substantial Cuban-American population, as well as to important aviation hub cities. The Department’s process of selecting carriers offers an opportunity to present the public with a wide array of travel choices in the type of airline (network, low-cost, ultra-low-cost); choices of airport; and choices of non-stop or connecting service. The DOT’s proposed selections would simultaneously address service needs while promoting competition. On February 16, 2016, Secretary Foxx and Department of State Assistant Secretary for Economic and Business Affairs Charles Rivkin signed an arrangement with their Cuban counterparts opening the way for scheduled air service between the two countries to resume after more than 50 years. This new arrangement will facilitate visits for travelers that fall under one of 12 categories authorized by the U.S. Department of the Treasury’s Office of Foreign Assets Control. At the time of the signing, the administration announced that scheduled service would begin later in 2016. Under the arrangement, each country may operate up to 20 daily roundtrip flights between the U.S. and Havana. The arrangement also provides each country with the opportunity to operate up to 10 daily roundtrip flights between the U.S. and each of Cuba’s nine international airports, other than Havana, for a total of 90 daily roundtrips. DOT announced the approval of six U.S. airlines’ applications to serve cities other than Havana on June 10. Objections to the DOT’s tentative decision are due by July 22. If objections are filed, answers to objections will be due by July 29. The DOT expects to reach a final decision later this summer. The tentative decision and other documents in the case are available online at regulations.gov, docket DOT-OST-2016-0021. AICC has been dedicated to promoting the U.S.- China educational exchange and supporting Chinese students to attend the summer camps held in the U.S. This Cultural Summer Camp is one of the summer camp events organized and promoted by AICC. We believe that your teachers and students will gain invaluable knowledge and experience with American education, culture, art and society by attending this unique Cultural Summer Camp. You will make friends with American teachers and students, visit museum and schools, and spend a very happy time. It will be an unforgettable memory in your life. 1 Beijing – Los Angeles East Los Angeles Collage Holiday Inn Pasadena-Colorado Blvd. 2 Universal Studios Universal Studios Holiday Inn Pasadena-Colorado Blvd. 3 Disneyland Disneyland Holiday Inn Pasadena-Colorado Blvd.